Morzine-Avoriaz in the Haute-Savoie department of the Rhône-Alpes region of France is a very popular and much revered area for road cyclists. It has hosted the Tour de France more than 20 times since 1975, and is a regular stage town for the Critérium du Dauphiné and home to a number of Cyclosportives, including the gruelling Morzine Vallee d'Aulps, which covers 150km and over 3900m of vertical ascent. Sitting on the banks of the Dranse, the pretty alpine town of Morzine provides a perfect base for a road cycling holiday, providing direct access to a diverse range of routes that cater for both the recreational rider and professional racer. The smaller peaks around Morzine and the Portes du Soleil are set against the stunning back drop of the Mont Blanc massif, which on a clear sunny day makes for some awesome mountain vistas. Morzine offers fantastic après-cycling facilities including an Olympic size open air swimming pool, relaxing lake-side beaches, tennis courts, well-being & massage centres, pedestrian gondolas, open-air cafes, lively bars and some fantastic restaurants. And for cyclist who would like to combine road cycling with some cross-country or downhill mountain biking Morzine sits in the heart of the Portes du Soliel’s 650km MTB trail network. Morzine-Avoriaz has some classic road cycle routes. I have ridden many tough tour climbs including Ventoux. Morzine may not offer such an epic challenge, but the Col de Joux Plane – a regular on the Tour route – is not for the faint-hearted. Other tour climbs include the Col De Ramaz, a 16km climb from Mieussy, and a 14km time trial route from Morzine to Avoriaz. Other cols can be linked to create a wonderful day's riding. A tough day on the bike could see you leave Morzine and head north towards Lake Geneva. On your itinerary would be Col de Joux Verte (1760 m), Col de Feu (1117 m), Col de Cou (1116 m), Col de Terramon (1100m) and Col de Jambaz (1027 m), with the last climb of the day being Col de l'Encrenaz (1432 m). That's some 3,637m of climbing over 164km. The Cycling Challenge website has excellent information on all these cols. For a challange a little less gruelling, try riding around Lac Leman. 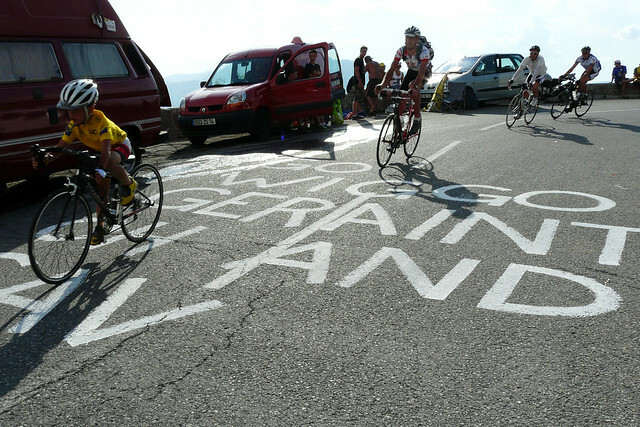 A 180km route takes you through Evian, Montreux, Lausanne, Geneva and Thonon. You can take the ferry back from one of the ports along the lake if you don't feel like riding the whole route in one go. As Morzine it an attitude of 1000m in the heart of the Haute Savoie. During winter it is a haven for skiers and snowboarders. Although snow-clearing is very efficient, the roads can be covered in snow from the middle of November until the beginning of April, and temperatures are frequently below freezing, making cycling more difficult during this period. The best months to visit are May, June and September as the roads are quieter and you can take advantage of low season accommodation prices. Due to its altitude and proximity to Mont Blanc, weather can be changeable – within the space of just a few days, you can experience 30 degree sunshine, freezing cold rain and hail, so you bring wet weather gear as well as tights and long sleeved jerseys. The French specialist map publisher IGN has a map dedicated to Morzine (UK, US, Fr). Morzine tourist information is also very helpful and can provide contact details for road cycling guides. See our where to stay section to search for cycle-friendly accommodation on our database, or zoom in on our French Alps map below for our clickable icons and links. See our listings for bike hire in the Rhone-Alpes for options in Morzine. Bike: IGN has a map dedicated to Morzine (UK, US, Fr) as well as regional maps (UK, US, Fr). There is also a Rhone-Alpes Michelin map (UK, US, Fr) to help plan your route. Fly: Geneva airport is just 90 minutes' drive from Morzine-Avoriaz. easyJet, British Airways, Swiss, Fly Be, BMI all operate between the UK and Geneva. Ask your accommodation provider or tour company about transfers. See our flights to France page and our information on taking bikes on planes. Skyscanner, Expedia, and eDreams are all worth checking to compare flight prices. Drive: Morzine-Avoriaz is a 9-hour drive from Calais if you take the toll roads. See here for information on driving in France and here for our ferry information page. Train: There is a sleeper TGV service which runs between Paris Gare du Nord and Cluses. See voyages-sncf.com for train times and ticket prices. Ask your accommodation provider or tour company about transfers from Cluses station to Morzine. See our page on getting the train to France and our advice on taking bikes on French trains. See also our articles on mountain biking in Morzine, cycling in the Alps, tough Tour de France climbs, the Vercors, the Drome Valley, the Maurienne Valley, Alpe d'Huez, and Col de la Croix de Fer. Chris Lavender and his wife, Helen, moved to Morzine in 2002. As soon as the snow melts each year, Chris jumps on his road bike and spends most of his free time conquering cols.